Young Min Park, PMP MSPM, is currently the President of the Project Management Institute's South Korea Chapter and also the chair of the Korean ISO/TC 258 mirror committee cooperating in developing international project management standards. Until recently, he was the owner of Innovation Framework Technology Korea Ltd., prior to which he was General Manager-South Korea for Artemis Management Systems. He has a background in industrial engineering from Korea University, and obtained a Master of Science degree in Project Management from the University of Alaska Anchorage. 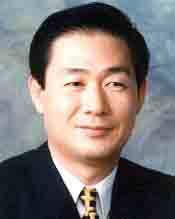 He may be reached at youngmin.park@pmikorea.kr or ympark99@gmail.com. This case study is presented in two parts. Part 1 describes the Hwaseong Fortress and an overview of the public record that provides the basis for this case study. Part 2 delves more deeply into this public record for purposes of study in comparison with our present understanding of modern project management. Part 2 will conclude with a suggested list of questions for discussion. This case study is based on the work of Young Min Park in his Master's degree study of the Hwaseong Seongyok Uigwe that is the public record of the construction of the Hwaseong Fortress during the late eighteenth century. We would like to thank Young Min Park most sincerely for his permission to present this fascinating work as a case study on this web site. Through text and illustrations the Uigwe recorded and described the overall process of management and construction of the Hwaseong Fortress and attached government buildings. In this study, this ancient record of 1,334 pages will simply be referred to as the Uigwe. This historic Uigwe consists of ten chapters filling nine volumes. The first volume is a preface. The next six volumes contain the main contents. The three remaining volumes are the appendices. These books note the slightest detail of the construction process of the project. Consequently, they allow researchers to find valuable and comprehensive insight into the process of governmental administration and management of this national mega-size construction project, as well as the design and construction technology of over 200 years ago. Thus, Young Min Park's research provides a fascinating comparison between the management of construction of the past, and project management, as we know it today. At the same time, it should not come as a surprise that much of what is promulgated today is heavily embedded in the past. While the study describes the original work, the structure of the subsequent text will rely heavily on our present understanding of modern project management.